There is some timely good news regarding cholera Vaccine Effectiveness, given the ongoing emergency in Zimbabwe. According to a new case-controlled Harvard study, people who received 2-doses of a killed, bivalent, whole-cell oral cholera vaccine during the height of the 2010-2017 cholera outbreak in Haiti were reported to be 76 percent less likely to become sick from the bacterial infection. Additionally, this protection appeared to last for 4 years. In contrast, single-dose effectiveness decreased over time in a log-linear fashion, with a predicted Vaccine Effectiveness (VE) of 79 percent at the end of 1 year, which then declined to 0 VE before the end of the 2nd year. This study’s findings are consistent with the 2-dose long-term vaccine protection of killed, bivalent, whole-cell oral cholera vaccines (OCV) reported in previous studies done in India (65% and 69%) and Vietnam (50%). Left untreated, cholera can swiftly turn devastating, even deadly, said these researchers. Since cholera was introduced to Haiti by infected Nepalese UN peacekeepers in the wake of the catastrophic 2010 earthquake, more than 800,000 cases of cholera have been recorded and 10,000 people have died of the disease, reported the NY Times. The bacterium Vibrio cholerae kills by causing an infection that produces acute diarrhea, which in turn causes massive dehydration and the rapid loss of vital electrolytes such as potassium, calcium, and chloride. The study was led by researchers at the Harvard Medical School (HMS) Department of Global Health and Social Medicine and Massachusetts General Hospital, with colleagues at Zanmi Lasante (Partners In Health) in Haiti. “Our findings yield crucial insight for understanding the optimal use of oral vaccines in the context of comprehensive cholera control and prevention,” said lead author Molly Franke, assistant professor of global health and social medicine at HMS. 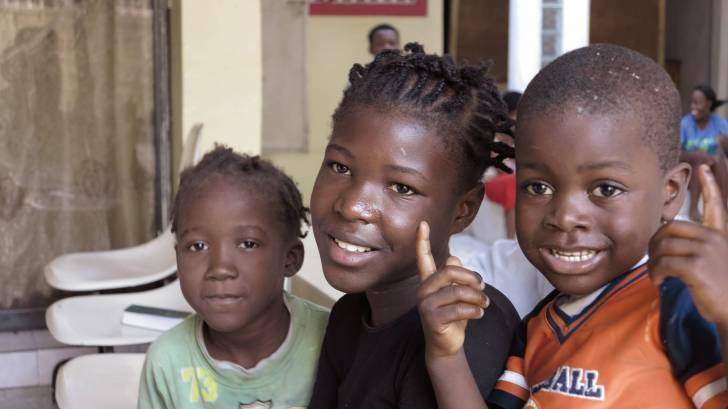 “In the challenging conditions present in Haiti in the wake of the earthquake and in the midst of an active cholera outbreak, the consistent, long-term protection provided by the vaccine makes these vaccines well worth the investment,” she said. The current study lends support for the long-term effectiveness of vaccination as part of a comprehensive anti-cholera program that also includes treatment centers and efforts to improve access to clean water. In June 2016, the FDA approved a single-dose live oral cholera vaccine called Vaxchora (lyophilized CVD 103-HgR). Three other oral inactivated, or non-live cholera vaccines are available: Dukoral; ShanChol, and Euvichol-Plus/Euvichol. These cholera vaccines are World Health Organization (WHO) prequalified but are not available in the U.S. Most travel vaccination pharmacies offer cholera vaccination services. These Harvard researchers did not disclose any conflicts of interest.